Ulster skipper Johann Muller has signed a one-year contract extension which will keep him with the province until 2014. 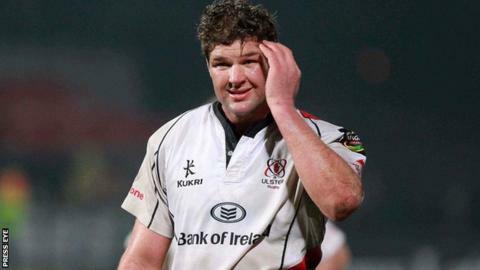 The 32-year-old lock joined Ulster in 2010 and has been an major figure in the Ravenhill club's recent success. South African Muller is due to return to action in Friday's Pro12 match against the Ospreys following a spell out injured. He has 52 appearances for Ulster and has 24 international caps. "The contract extension has been in the pipeline for a while now and I am delighted to get it signed," Muller said on Monday. "I have had a great time at Ulster so far, three years have flown by. "Ulster have had wonderful times over the past couple of years and it is brilliant to be part of that. "The players and staff have done an amazing job and it is an exciting place to be. "We have done brilliantly so far this season but the next eight to 12 weeks is obviously going to define the season. "The important stuff is coming up now. We' have got the massive game on 6 April against Saracens, but there is everything to play for in the Pro12 as well."